$195. 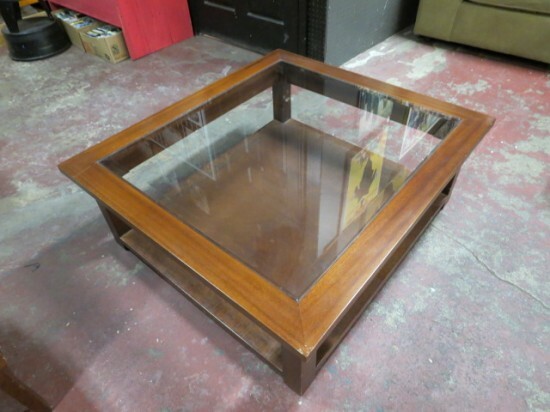 Vintage square mahogany 2 tier coffee table/side table with glass top. Beveled glass top framed by mahogany. Square, straight legs go into a mahogany bookmatched base with faux inlay trim. Perfect to anchor a sectional or use as a coffee table. Good condition, small chip in glass in one corner. 35.5in wide, 39.5in deep, 14in tall.